I don't think that small Asian girls are commonly pegged as Scotch enthusiasts (for shame! ), but I have to admit that I do love to enjoy a sip of smokey whisky every now and again, especially with my favorite albums on slow burn at home. 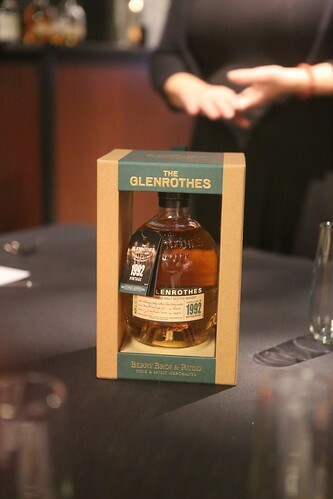 And tonight I had the special delight of a vertical tasting of Glenrothes Scotch—in particular the unveiling of the second edition of the Glenrothes 1992 ($249.99), which was just released into the world this evening. 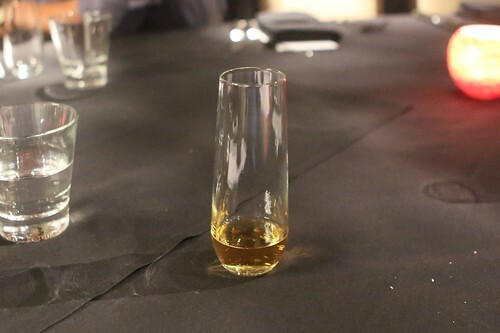 At 88 proof, it's an elegant Scotch, perfect for a celebratory sip with friends. It's light, smooth, and runny in viscosity with delightful notes of honey suckle and jasmine, round notes of melon, and a citrus burst at the end like tangerine. The last release of the 1992 was in 2004 before it had fully matured in its refilled Sherry Butts and American Ex-Bourbon Hogshead barrels. This new pour is said to be lighter and less formal. 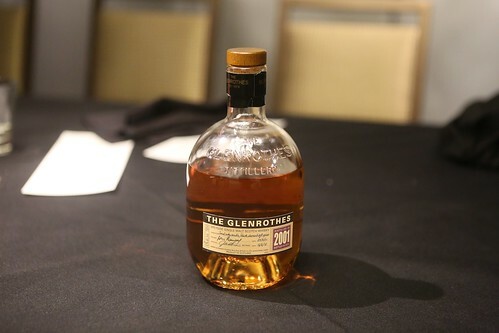 Glenrothes, in general, focuses in on a lighter style of scotch that celebrates smooth vanilla, citrus, and spicy flavors in its whisky. 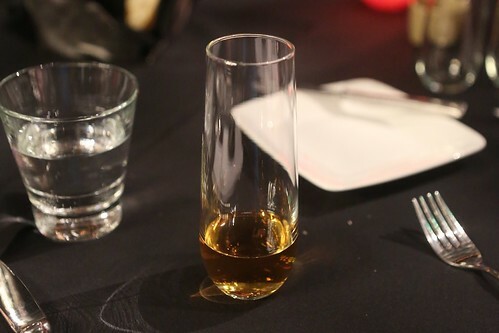 The 1998 is a light sip, smelling full of honey and dry cocoa. 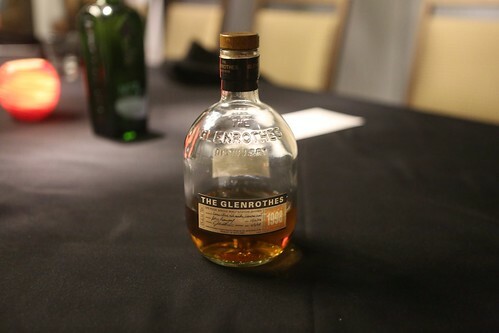 It is less smokey than many scotches with just a subtle burnt note and white pepper on the finish. A nice pour for the beginning of a good conversation. The 2001 is a bit richer, with cherry notes on the nose and smooth stone fruit (especially peach) on sipping. 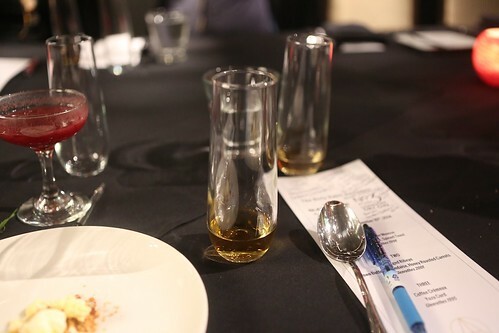 It ends with a seaweed-like briny finish which prevents the Scotch from becoming too cloying. It paired well with ribeye!. 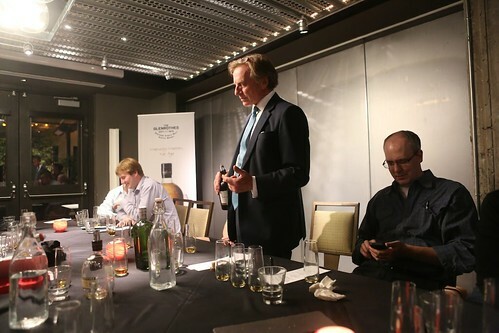 The 1995 was the richest of those we tried, the most structured, and the one that most resembled the typical scotch. 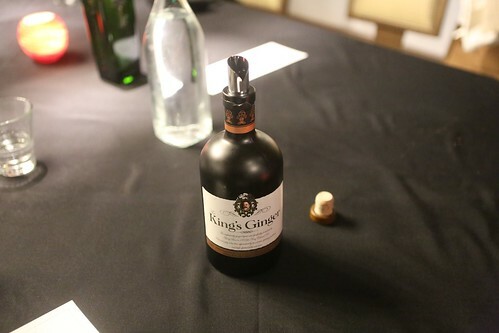 With a heavier mouth feel, the 199 brought in sweet notes of butterscotch and caramel and citrus and heavily spiced finish. 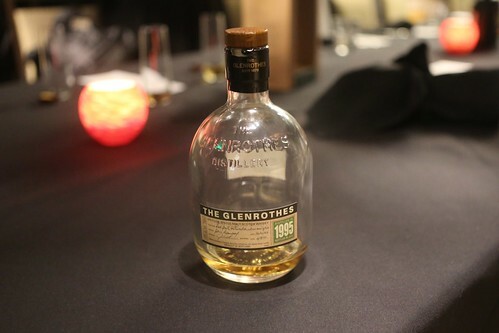 Lastly we had a taste of Glenrothes's ginger liqueur—still a sweet proposition, but with much more spicy bite on the back and nose (compared to other ginger liqueurs out there).